Jeffersonville, OH (January 15, 2019) - Chris Jeffries, president of Seed Genetics Direct, and the SGD team, recently welcomed Todd Jeffries as the company’s vice president of sales and operations. Todd joins his father, Chris, to provide quality and competitive genetics to farmers in the Eastern Corn Belt through Seed Genetics Direct, a fast-growing seed company in Jeffersonville, Ohio. 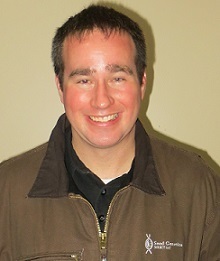 Todd brings 20 years of experience to SGD, including 12 years as a seedsman and numerous honors and recognitions. In his new role, he will assist farmers with seed-purchasing decisions, support research and testing initiatives, collaborate with the marketing and sales team, aid in logistics management, and serve as a core member of the production planning team. Todd earned his bachelor’s degree in applied management from Ohio University. He has also completed agronomy and seed biotechnology courses through Purdue University and UC Davis, respectively. Current and future SGD customers can contact Todd at 812-212-0200 or toddj@seedgeneticsdirect.com.